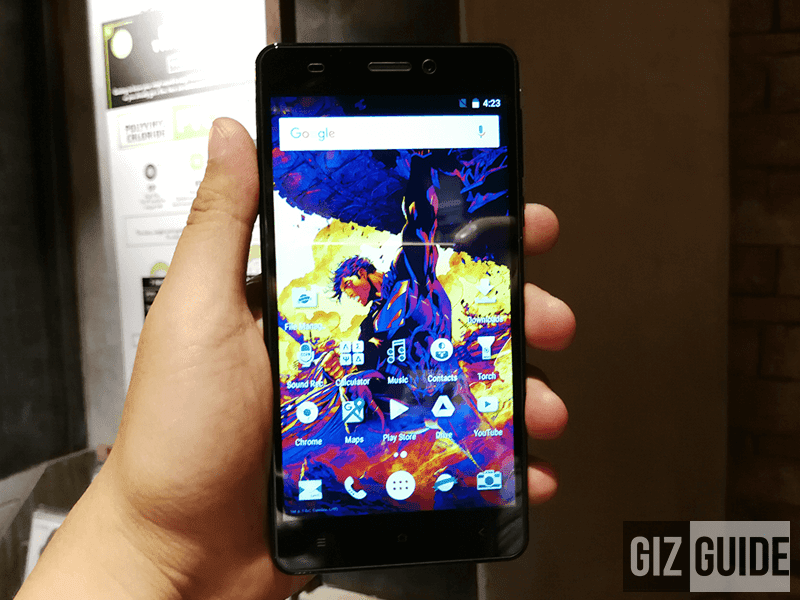 Ekonic Launches The First Justice League Smartphone In The World! Home / ekonic / mobile / video / Ekonic Launches The First Justice League Smartphone In The World! Super hero fans, rejoice! 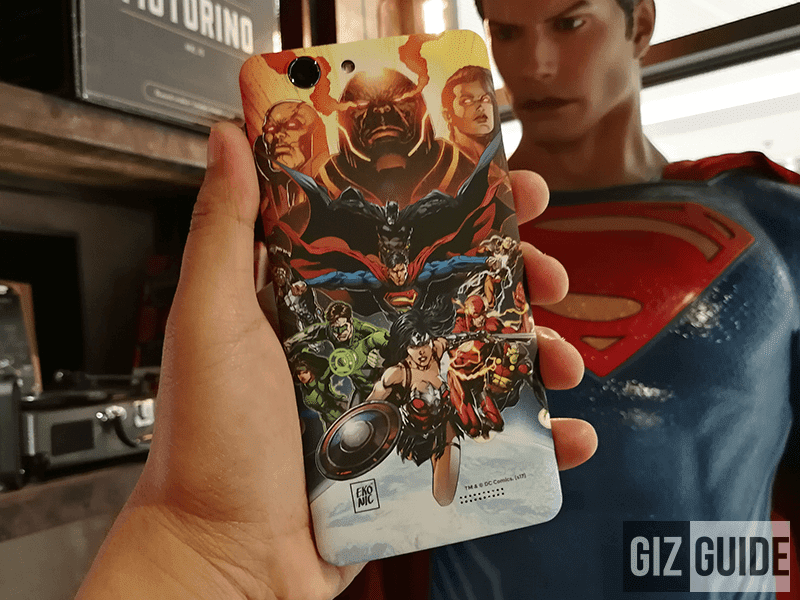 Ekonic, the brand behind DC certified gadgets in the PH in collaboration with Smart has just made the first Justice League Smartphone in the world official. Inspired by the iconic DC super heroes, the Ekonic Justice League Smartphone is a fully customized Android powered smartphone for the fans. 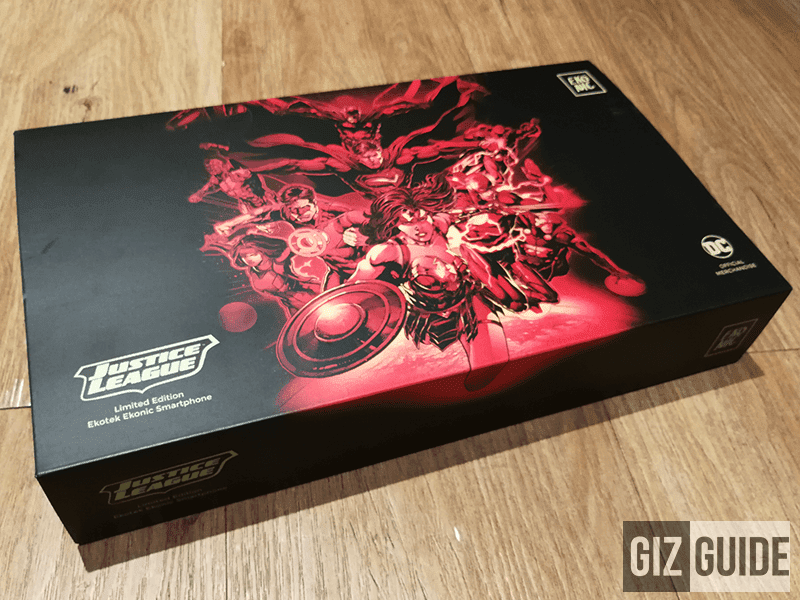 It has a customized back cover case with beautiful matte paint finish of the entire Justice League family. Checking the specs, this handset is a entry-midrange offering. It's equipped with a 5.5 inch HD IPS screen, 64 bit MT6737 quad core processor, 2 GB RAM, 16 GB expandable storage, 2,500 mAh battery, 8 MP main camera with f/1.8 lens, 5 MP selfie camera and 700 MHz ready LTE connectivity. It also boasts exclusive signature collectible hard-bound box and DC certified accessories. The accessories includes 1 clear case and 3 super hero cases (batman, superman, flash) that's made by some of the most celebrated comic book artists in the industry: Jim Lee, Jason Fabok, Francis Manapul, and Ivan Reis. Moreover, it has the Lasso of Truth cable charger and a pair of striking Scarlet Speedsters earphones. The limited edition Ekonic Justice League Smartphone will be available at Smart's postpaid plans nationwide starting Aug 1, 2017. Simply add PHP 400 to your existing Smart postpaid plan. Only 5,000 units will be sold in the Philippines starting August 2017.